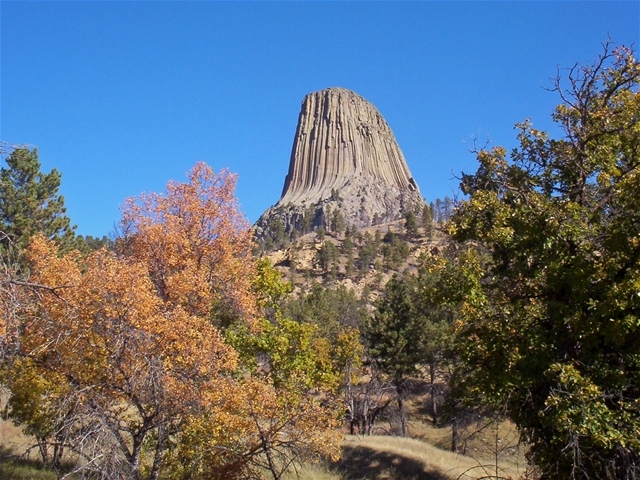 This tower is a large formations that seems out of place in the area. It was formed by magma flowing up from underground like a volcano. The lines that go vertically up the sides are five sided ridges. Many climbers actually climb all the way to the top (about 867 feet from the base). The climbers are so small, they can not be seen in the pictures.